Cal Fraser in Editor's Picks World Affairs on 30 April, 2017. Andrés Manuel Lopez Obrador is the left-wing frontrunner in next year’s Mexican presidential election to replace the current embattled leader. Much like this patriotic monologue spoken by the British Prime Minister in the Christmas film which emboldens Britain’s status as a ‘great’ nation in the face of a bullying US administration, Mexico has seen a flood of national pride in the wake of Trump’s rise to power. The national flag has become a ubiquitous feature on social media pages, and calls to boycott US industries and to ‘buy Mexican’ shows nationalism (and fear) is at an all time high. This is undoubtedly an attempt to project national strength and solidarity in the face of recent hostilities with the Trump administration. Fighting bullies with strength is a noble sentiment, and a narrative that has captured the imaginations of Mexicans, through the rise of Mr Andrés Manuel López Obrador, the staunch representative of the Mexican Left and current front runner for the presidential nomination for the 2018 elections. Fundamentally opposed to the corruption and neoliberalism that have come to characterise the world’s most unequal nation, Mr. Obrador has already been branded a ‘populist’. This catch-all tag is commonly applied to Latin American leaders that do not submit to US foreign policy, or indeed to any leader that steps out the stencil of the ruling political class. In this context, a notable populist is the late Hugo Chávez, the President of Venezuela who led a series of unprecedented socialist reforms. He catalysed a period of integrated political and economic change in Latin America to the exclusion of the US. An archetypal social-nationalist, Chávez is perhaps most revered for his antagonistic rhetoric towards the Bush administration, as his language was often steeped in tirades of inflammatory accusations of US covert neo-imperial agenda in the region. Labelled by his detractors as a ‘wannabe Chávez’, Obrador draws comparisons with that of the Venezuelan leader. His rhetoric expresses a refusal to be ‘subordinate’ to the US and challenges Mexico’s ‘colonial past’ whilst dismissing neoliberal economics. ‘Privatisation is a synonym for robbery’, according to Obrador’s book. 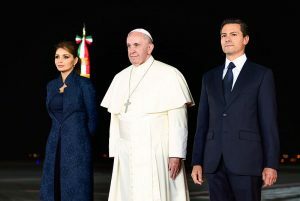 Incumbent centrist President Enrique Peña Nieto, pictured here last year with Pope Francis, is suffering from record-low approval ratings and is ineligible to seek re-election next year. However, whilst Chávez famously branded George W. Bush a ‘coward’ and ‘alcoholic’, Obrador reserves his strongest criticism for the domestic enemy in the form of the incumbent President Enrique Peña Nieto. 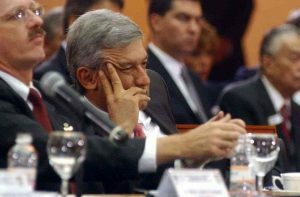 With approval ratings hovering around 12%, he is an easy target for Mr Obrador; the significant ‘other’, and an embodiment of the neoliberal policies cited by Obrador as the source for an appalling distribution of wealth, along with rampant corruption. In the same vein as Chávez, Obrador’s popularity is fostered on two fronts. On the foreign front, it is the antagonism towards the US; domestically, towards the ‘agents’ of neoliberalism and neo-imperialism. However, unlike Chávez, Obrador does not have the same extraordinary windfall of oil profits to support hard power foreign policy, nor the capacity to engage in a potential trade war with the US. Despite the rhetoric and patriotic sentiment, standing up to the bully with economic strength and tariffs of its own, would be disastrous. There are signs that suggest Trump and Obrador’s relationship would not be as hostile as pessimists suggest. It is unlikely that the Mexican candidate would pursue reforms as radical as Chávez’s, and as proved by his tenure as Mexico City’s Mayor, Obrador has the competency to work effectively with businesses. Protests calling for President Enrique Peña Nieto’s resignation have continued to plague the capital, Mexico City, and other cities across the nation in the last year. Another positive sign is Trump’s propensity to cosy up with strongmen, exemplified by his unblushing admiration for Russia’s Vladimir Putin. Despite occupying different poles of the political spectrum, Obrador and Trump could see similarities in one another, most notably an inclination for the type of rhetoric that, taken out of context, would seem satirical in its absurdity. The are also both hated and feared by the established political elites of their respective nations. Perhaps more importantly, Trump and Obrador need each other. Despite constant threats to rip up NAFTA, the agreement could perhaps be better amended to suit both parties (both want to protect national industries with tariffs); as a mutually beneficial amendment to the agreement would be in the national interest of both. Then, of course, there is the Wall along the US-Mexico border. 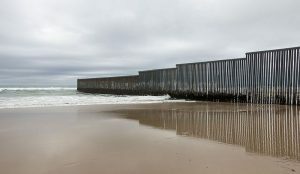 Initially, a metaphor for Trump’s protectionist and isolationist politics, an insistence on Mexican taxpayers funding the Wall would be disastrous for US-Mexican relations. 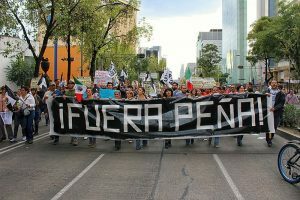 In Mexico, mass protests would surely break out, diplomatic ties would be weakened or even severed, whilst trade restrictions would cripple the country’s economy. If this were to be the case, Mexico realistically has two options. Firstly, it would have to catalyse a deeper regional economic integration, a parallel initiative to the Community of Latin American and Caribbean States (CELAC), the regional political body which it co-founded in 2011, and hope that the emergence of a substantial economic bloc could counter-balance US influence and work as political leverage. The second option is deeper economic co-operation with China. Despite tense recent relations, the Chinese’s willingness to freely invest in the world’s most hostile business environment could provide a lifeline in the worst case scenario, and Mexican regional leadership in Latin America could see a continent dramatically shift alignment, causing unprecedented geopolitical upheaval. Any future Mexican President will have to contend with the possibility of a wall along the entirety of the US-Mexico border, as promised by recently-elected President Trump. These are of course extreme hypotheticals. Whilst it remains to be seen how much of Obrador’s rhetoric would materialise in his foreign policy, what is known for sure is that Trump is not quite the deal maker he sold himself to his voters, as highlighted by the debacle in dismantling Obamacare. Even if, miraculously, a pro-Trump leader was to come to power in Mexico, a deficiency of tact from the American leader suggests a long and dangerous road ahead.